Preview presentation of the 2018 Budget Act at the Manifattura di Domodossola. 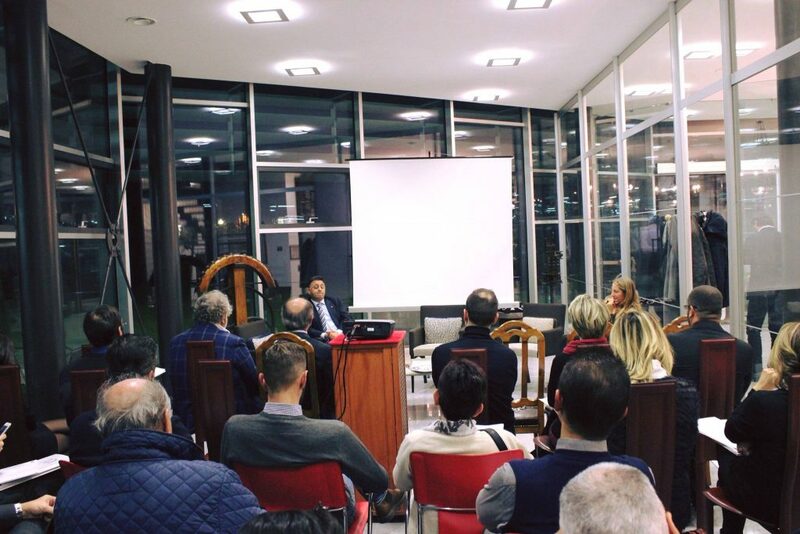 A lively and constructive debate last night at the Manifattura di Domodossola headquarters on the occasion of the meeting of the Governing Board of the Small and Medium Enterprises Association of the provinces of Novara, Verbano Cusio Ossola, Vercelli and Valsesia. Deputy Giovanni Falcone presented to the members of the API Governing Board a video of the Undersecretary at the Italian Ministry of Economy and Finance, Deputy Pier Paolo Baretta, who outlined the 2018 Budget Act. During the meeting, industrialists had the opportunity to express their suggestions and to make the voice of their territory heard. As confirmed by Deputy Falcone’s words, Small and Medium Enterprises are the trump card and confirm their role as protagonists of the economic recovery. The debate discussions highlighted the importance of our area, a reality that can give so much and that is particularly engaged in the industrial sector. The meeting was preceded by the factory visit, led by the Polli family, that has been managing the company since 1913. Following this initiative, the Undersecretary will be supplied with a document containing all the expectations and suggestions arisen during the Governing Board, so that the voice of the Small and Medium Enterprises represented by the API is brought to the Ministry of the Economy and Finance.